A recent post from Gmail's Google+ page mentioned 2 new Gmail search features: enhanced contact suggestions with thumbnails and suggestions from your Gmail search history. "If you've searched your email for 'supercalifragilisticexpialidocious' or other lengthy phrases, it just got easier to find what you're looking for. 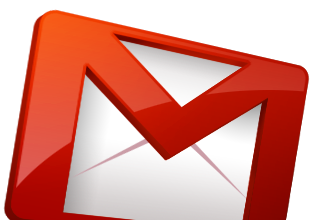 Autocomplete predictions in Gmail may now include your past Gmail searches. Past searches as well as the new contact thumbnails shown below are rolling out to all Gmail users globally, including Google Apps for Business customers, over the next few days." 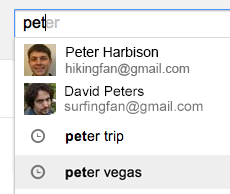 Are contact thumbnails in Gmail search a new feature? Not if you've previously joined the Gmail Field Trail, which adds many other cool features that integrate Gmail, Google Calendar, Google Drive and Google Search.